My dear friend Cooper Sanchez is at it again this weekend with Illumine: Art and Light In The Gardens. If you’ve read miniature ships, which I wrote and he drew, you’ve seen Cooper’s incredible ink work. If you’ve read distant friends, arizona, or (soon) the mister, you’ve seen the strong influence he’s had on my own drawing. More than just pen and paper, though, he’s got this amazing ability to take the stuff in his head and get it out into the world without having it pass through the sieve(s) that most of us struggle with. Sometimes it’s on canvas, other times it’s with light, still others it’s with nature, and sometimes it’s all of these. It’s sometimes simple, sometimes complicated, but always pure. He’s got a really lovely way of looking at the world, and this show promises to back me up on that. 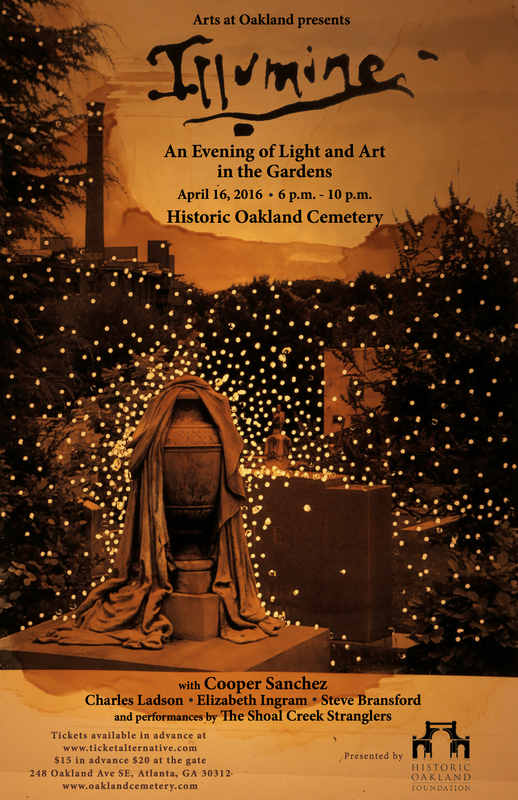 The show is on Saturday, April 16th at 6pm in Oakland Cemetery in Atlanta. If you’re local, you should go. If you’re not, you should move.